Today «Silikony SK» company is a big supplier of mold silicone compounds and mold polyurethanes in the whole Europe. 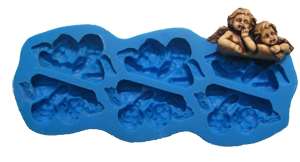 Besides, we are ready to teach your specialists how to make up silicone molds themselves. thereof – you can be absolutely sure that you will find right what you need with us. We can produce items from plaster stone and other materials – sculptures, training models, park and garden sculptures etc. We deliver products to any point of Europe.